The Cathedral of Basel sits on a high bluff overlooking the Rhine where it bends and widens to begin its northward journey. The first church was built here in the early 800s but was destroyed by invading Hungarians in 917, during the time when they ravaged western Europe until their defeat in 955. An inscription on the sarcophagus of the bishop records: Bishop Rudolph, killed by the pagans on 20 July. 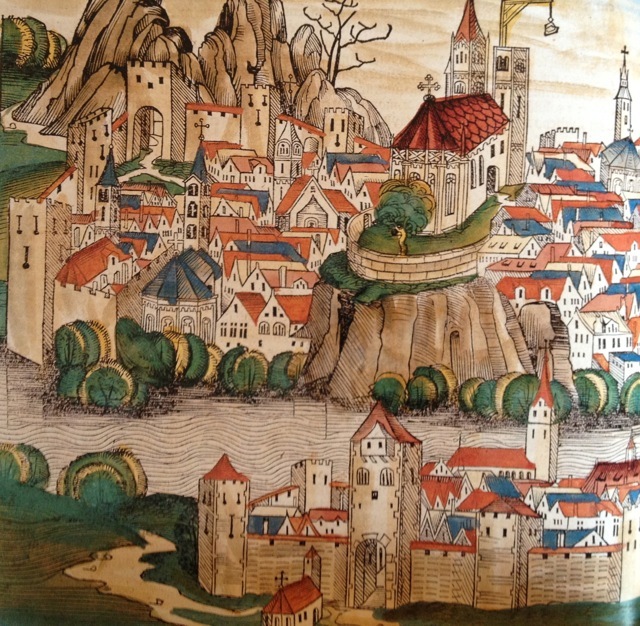 A new church was built in 1019, during the reign of Emperor Heinrich II, who recognized the strategic position of Basel, at the intersection of roads leading over the Jura Mountains to Burgundy and France and over the Alps to Italy. The Emperor allowed the Bishop of Basel to mint his own currency and gave Basel several forests rich in game to provide meat for the episcopal household. 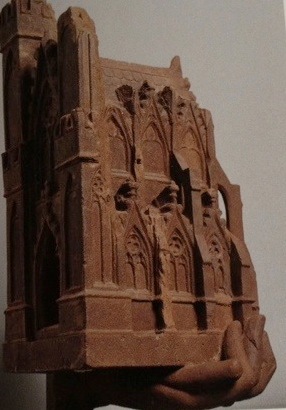 Heinrich also saw that the cathedral was quickly reconstructed after its destruction by the Hungarians, and it became a symbol of his relationship with Basel. On October 11, 1019, he attended the consecration of the cathedral and honored it with important gifts. The Cathedral treasury had been thoroughly ransacked. A single relic remained in the Treasury. This was the foot of one of the Holy Innocents, those children slaughtered by Herod in his attempt to kill the infant Christ. 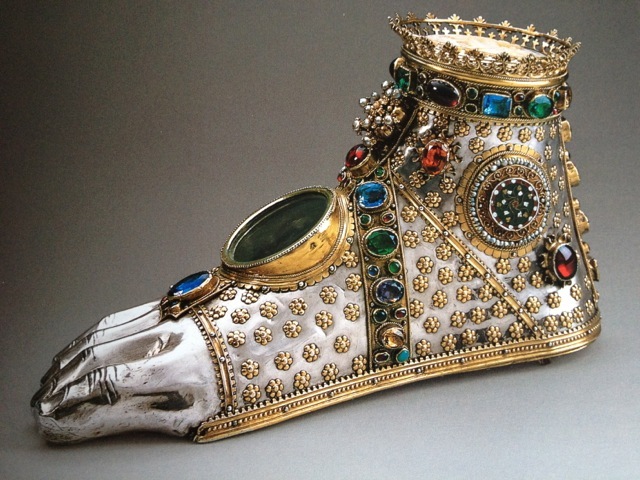 The relic was donated by a sixth-century Irish monk, and is now housed in a reliquary of much later date, though the sole is engraved: the whole foot of the innocents St. Columban gave. One can view the relic in the leather-lined compartment through the aperture in the top. 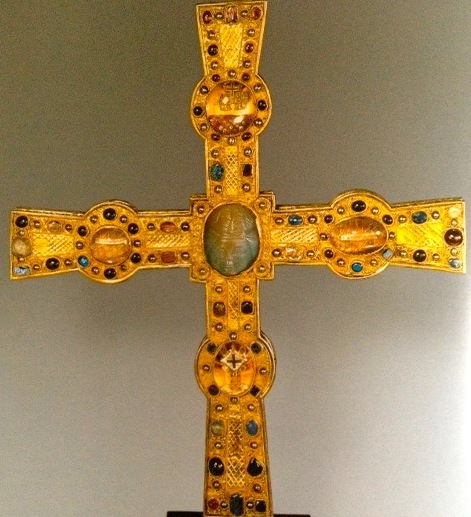 The Splinter and Blood are housed in a splendid cross made of gold, silver, and gems, and known as the Heinrich Cross. Several years ago, thieves stole the splinter, but left the cross behind. The relic was later returned and can be clearly seen behind the rock crystal cabochons of the cross-shaped reliquary. On Sundays, Mondays, Fridays, and feast days, a cleric stands in front of the choir screen calling, “Help maintain the cathedral, which is inhabited by God, Our Lady, the heavenly emperor Saint Heinrich, and all the saints. . .Anyone in possession of money found, acquired through gambling, usury, or not legally inherited, should give it to the house of Our Lady and so be free of sin.” As a reward for their donations, the devout are blessed with the Heinrich Cross or another reliquary. Heinrich himself was declared a saint in 1146. He and his wife, Kunigunde, are commemorated by huge effigies which now stand on the west side of the Cathedral. But they were buried in the cathedral in Bamberg. In the 1300s, Basel petitioned Bamberg for relics and received fragments of the right arms of the emperor and the empress. These arrived at the city gates on November 4, 1347, and the bishop in his finery, the clergy, and all the burghers, hastened to accompany the relics to the cathedral with a parade of crosses, treasures, and candles. The remains are housed in tower-shaped reliquaries, composed of crystal cylinders with statues of Heinrich and Kunigunde and various saints. But though the important pieces of the Treasury survived, Heinrich’s cathedral was wrecked in the violent earthquake of October 18, 1356. The quake destroyed the choir, the vault of the nave, and the great bell tower. After the quake, a great fire broke out in the city and burned most of the houses. 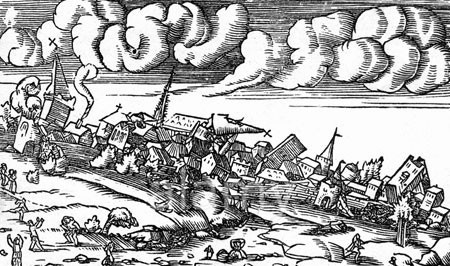 And this calamity fell hard on the heels of the plague that killed a third of Basel’s populace in 1349. It was to strengthen his dispirited and mourning city that Johann Senn von Münsingen, Bishop of Basel, traveled to Rome, acquiring for Basel relics of saints Paul, Cecilia, Pancras, Fabian, Sebastian, Agnes, Dorothy, Urban, Petronella, George, and Lucy, as well as of the Holy Innocents and the 10,000 Martyrs. 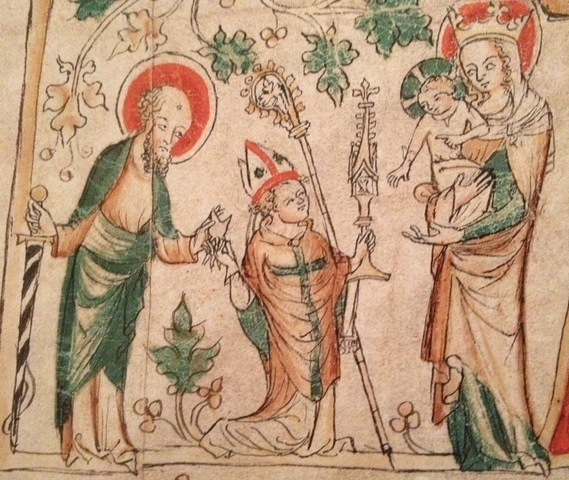 The importance of this undertaking is portrayed in a document of 1360, which depicts Johann Senn von Münsingen receiving from Saint Paul a tooth, which he offers, displayed in a large monstrance, to The Virgin Mary and the Christ Child. Sewn to this parchment document are two texts promising an indulgence (the remission of temporal punishment in purgatory) of forty days for the veneration of the relics. Of course the Reader understands that a Cathedral treasury contains two types of precious objects. Items used in the liturgy, such as vessels for the Eucharist, books, censers to burn incense, and the vestments of different colors worn for different days of the liturgical calendar. And then, the relics, believed to be the bodily remains of Christ, Mary and the saints, or objects that had touched them. The relics are housed in reliquaries of precious materials to reflect their value. There are four types of reliquaries. They may be shaped like the remains they contain, such as the one containing the foot of the Innocent. They may display a relic behind a crystal window, such as the Heinrich Cross. They may be busts or full-length statuettes of the saint. Or they may simply be a casket. But the receptacles, however opulent, are not as valuable to the faithful as the relics within. For the hope is that the saints offer favors and intercede with God. The reconstruction of the cathedral after the earthquake was accomplished by donations from the veneration of the relics that Johann Senn von Münsingen collected on his journey to Rome. On June 25, 1363, the new high altar was consecrated in the rebuilt choir. In the 150 years since then, the Treasury of the Basel Cathedral has continued to grow through the donations of the devout. 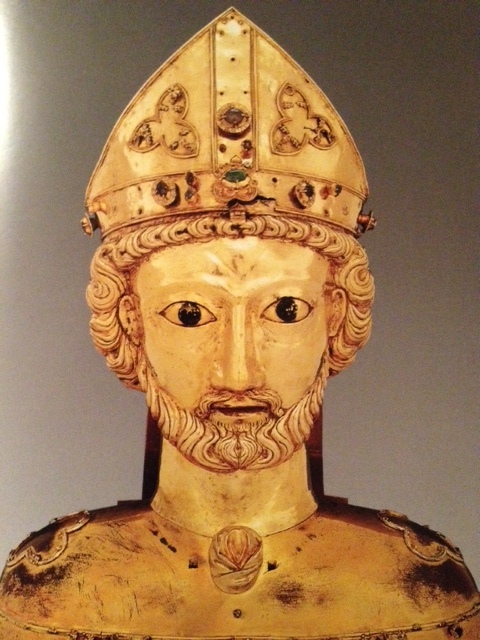 Capito calls the reader’s attention to The Treasury of Basel Cathedral, Timothy Husband, the Metropolitan Museum of Art, from whence came many of these excellent images. Changes are afoot. Some pleasing. Some terrifying. To separate the Church from the State is a novel idea. . .and a dangerous one. The Turks menace us, but some declare there is no such thing as Holy War. Is it the end of the world? Or the beginning of a new age of man? I am only certain of one thing. . .I am here. Live in the century that changed everything. Subscribe by email to alerts of new posts. 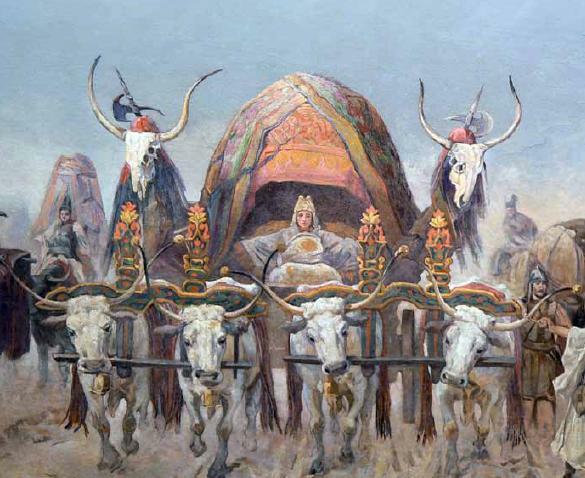 Follow Capito as I become right hand to the most powerful Prince in Germany, as I am blamed for the Peasant War, as my books are burned, as I marry my Gnese. Sample Posts? Searching for Something?